Psoriasis is a kind of chronic disease violence on the skin. It often occurs like a thick, flaky, silver-white patches and itchy appearances. 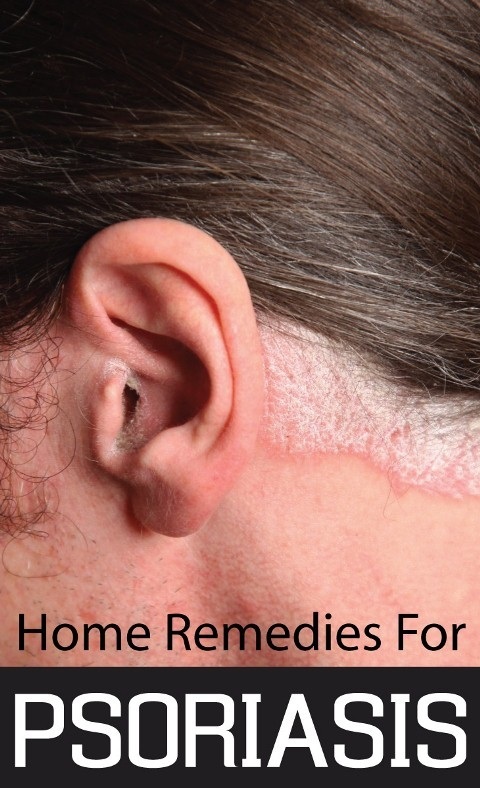 The skin gets irritated and painful and sometimes causes redness. Some of the symptoms of Psoriasis are easily understood such as itching, inflammation and pain. Most of the appropriate body parts would be attacked by Psoriasis such as elbows, palms, knees and scalp and others. In Psoriasis, your immune system mistakenly works in a wrong way as it becomes able to attack the healthy cells of your body due to which the life of the skin cells are completely changed. Usually, your body cells contain a specific life span of about a month to get mature and die then. But in people suffer with Psoriasis will have the body cells mature and die in less than a week. Therefore, it causes preparation of dead skin cells. 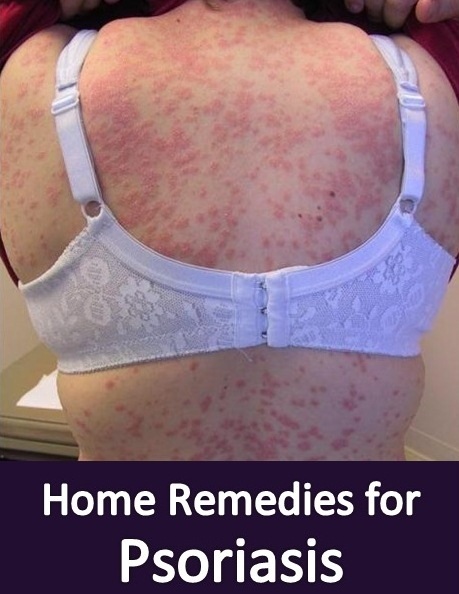 The most important aspects those are responsible to trigger the Psoriasis such as viral or bacterial infections, alcohol consumption, smoking, sunburn, dry skin, emotional stress and use of several medications that is beta-blockers and ibuprofen. Psoriasis would be found as a genetic inheritance disorder that comes from the past generation and attack one family member to another. The condition becomes worse in those people contain weak immune system. 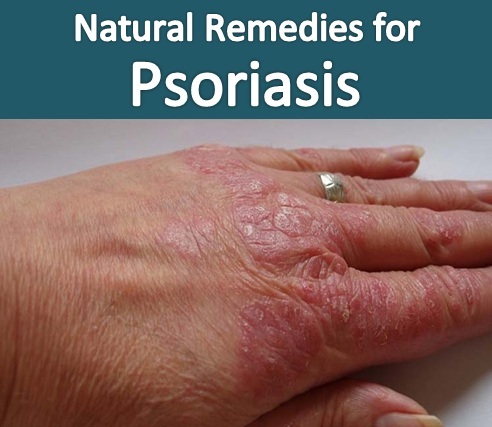 It is difficult for Psoriasis to diagnose properly and treat so do not become disappointed as we have thousands of natural herbs that have amazing cures for every problem relates to your body. 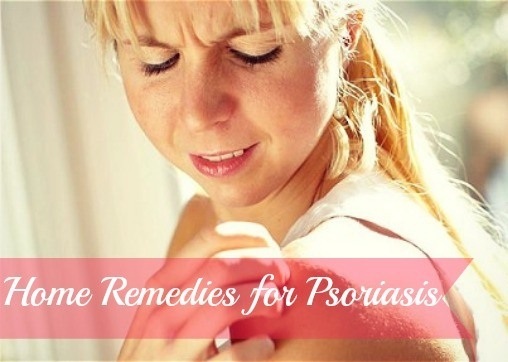 Some of the good and essential home remedies are described here which will surely help you to get rid of Psoriasis and the infections occur due to this. Do not forget to consult your doctor too. You can take an oatmeal bath which will lead to make your body hydrated thus the itching and pain of the skin will be reduced because it will make your skin smooth and soft. Oatmeal is beneficial for the other skin problems like eczema and dry skin. Take a cup of finely powdered oatmeal and mix it in your bath tub filled with warm water. Soak your body in oatmeal bath for approximately 20 minutes daily. After taking bath, rinse your body with lukewarm water then pat dry your skin and apply a good moisturizing cream. Take two handfuls of rolled oats and wrap them in a muslin cloth. Place them in a bath tub then run hot water, at the same time add cold water to bring the water at a room temperature then squeeze the oat bag. Water will turn into milk like substance. Soak your body in this milky water for 10 minutes. After taking bath, apply moisturizer. Follow this remedy on the daily basis. Apple cider vinegar is an excellent ingredients for many problems related with the skin. It helps in balancing the pH levels of your skin thus protects it from many infections, itches and irritation. Drink this solution regularly as it will help reducing out the toxic substances from your body. In a glass of water, add one tsp of organic apple cider vinegar. Another option you can do is mix together one part of apple cider vinegar and three parts of lukewarm water. Take a washcloth and soak it in this solution. Use it as a compress for one minute. Repeat the remedy certain times a day. Ice pack is the best option to soothe your skin and diminish irritation and itchiness caused by Psoriasis. Ice pack tends to numb your nerves thus prevents from the chronic pain. Take a clean piece of towel and wrap some ice cubes in it. Place the towel on the affected parts of your body. Leave the towel for eight to ten minutes. Do this remedy every few hours whole day. Epsom salt is meant to be great for various skin disorders and so for Psoriasis. The burning sensation and itching caused by Psoriasis is easily removed by using Epsom salt. It is also used for relaxation and detoxification. In a bath tub filled with warm water, add two cups of Epsom salt. Soak your body in it for 20 minutes. After getting out of the bath, pat dry your skin then apply a good moisturizer. Do this remedy two to three times a week. Garlic is found to be very effective to reduce the inflammation occurring by Psoriasis. Garlic contains antioxidant; blood purifying and anti-inflammatory properties thus help in preventing from infections. Take equal amounts of garlic oil and aloe vera gel. Apply this directly on the affected parts. Follow the remedy on daily basis until you see improvement at some extent. You can also eat minimum three crushed garlic cloves daily. It would be best to allow crushed garlic cloves sit for at least 10 minutes before eating. To avoid the smell of garlic, you can take it with milk or garlic supplements after consulting your doctor. Olive oil is very excellent to treat the Psoriasis with. It helps in making the skin soft and supple thus reduces the scaling and flaking on the skin. Take some amount of olive oil and heat it slightly warm. Apply directly on the areas targeted by the Psoriasis. Apply several times daily until you see positive response. Another thing you can do is add two drops of calendula oil and one drop of oregano oil in a cup of olive oil. Leave this for few hours then wash it off. Repeat the remedy several times a day. Turmeric contains a compound called curumin which has antioxidant and anti-inflammatory properties. Curcumin fights against the inflammation and stimulates the release of an enzyme called phosphorylase kinase which is the cause of cell growth. In a glass filled with hot milk, add one tsp of turmeric powder. If you want some taste, add a little amount of honey. Drink this daily for few weeks. Turmeric does not find to be good for the patients suffer with gallbladder problems. Also, if you have issues conducted with blood clotting or diabetes medications, do consult your doctor before applying this remedy. You can also make a paste out of turmeric and water. Add one tsp of turmeric powder to an adequate amount of water. Apply this paste on the affected areas then cover it with gauze and leave it overnight. Remove the gauze in the next morning then rinse out your skin with lukewarm water. Repeat the remedy after a couple of hours. It has been established from many studies that licorice found to be very treating for many skin conditions such as eczema, rosacea and psoriasis due to the presence of a compound called glycyrrhizin. This compound works to reduce the irritation and redness on your skin. Apply 2 percent licorice gel or cream on the irritated areas caused by Psoriasis. Do this remedy two times a day for some weeks. Take some dried licorice root and boil it in six cups of water. Let it simmer for 40 minutes then strain the solution after it gets cool down. Take a cloth then dip it in this solution. Now use this cloth as a compress few times daily. Another thing is take an empty jar and fill it with licorice root, pour olive oil over it. Close the lid and keep it aside for about six weeks. After six weeks, strain the oil then apply on the affected areas. Do this remedy three times a day. Glycerin is an excellent solution to apply as a moisturizer on the skin. It not only makes your skin smooth but also beautiful and healthy. Glycerol compound is present in glycerin which gives a synthetic effect to your skin to mature properly. Apply glycerin directly on the affected areas. Leave it for as long as it possible. Follow this remedy three times daily for few weeks until you see the results. Aloe vera contains soothing properties and diminishes the symptoms caused by Psoriasis. Aloe vera creates a protective layer on the broken skin and heals it properly. It has anti-inflammatory properties which fight against the inflammation and increase resistance in your immune system. Extract the aloe vera gel from an aloe vera leaf. Apply this directly on the affected areas. Leave it until it gets absorbed in your skin completely. Repeat the remedy three times daily for some weeks. Take a daily bath or shower, do not scrub your skin very hard as it will increase the sensitivity of irritation. Don’t uses bar soap as it will dry out your skin, but use a good body wash.
Keep your moist and clean properly. Use of humidifiers is very important to add moisture to the air. Avoid scratching at the lesions. Try to wear soft clothes such as cotton and linen. Avoid perfumes and dyes which make your skin irritated.